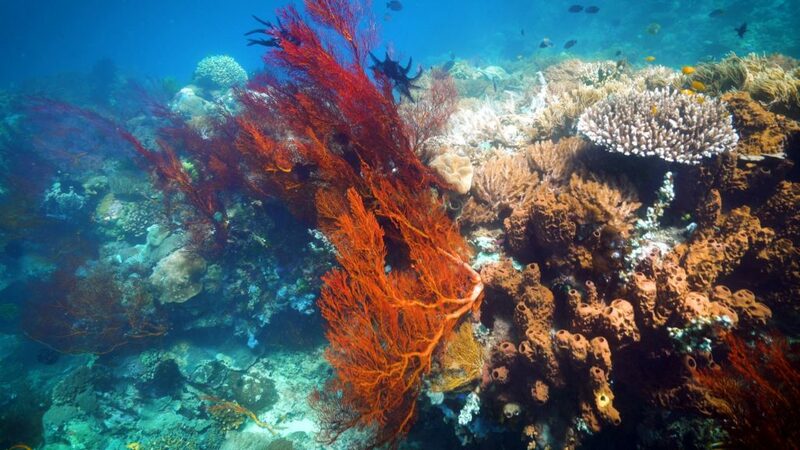 Indonesia has the largest and most biodiverse coral reefs, mangroves, and seagrasses of any country in the world. Sadly, all are under severe pressure. Around 95% of the coral reefs have been badly damaged or degraded from bombing, poisons, soil runoff, sewage and chemical pollution, new diseases, and bleaching caused by global warming. More than half the mangroves have been cut and dredged out for shrimp ponds, around half of which have been abandoned due to shrimp diseases. Their loss is causing severe coastal flooding in adjacent, now unprotected, land, such as Jakarta, North Java, Sumatra, Kalimantan, and across South East Asia. Seagrass beds are dying as they are buried in mud from eroded soils washed away from jungles that are being deforested, logged, and converted to oil palm plantations, and as increased sewage and agricultural fertilizers from land trigger harmful algae blooms that smother seagrass and coral reefs. As Indonesia’s priceless coastal ecosystems vanish, fisheries are collapsing, beaches washing away, and rare endemic species may be lost forever. Sulawesi lies in the central core area of the highest biodiversity in Indonesia, the “heart of the heart” of global marine species diversity. Those reefs that have not been bombed, poisoned, or bleached have the highest coral cover, biodiversity, and growth in the world. The incredible diversity of this area is due to many unique environmental and historical factors, too many to cover briefly here, but which will be covered in a future book on coral reefs. 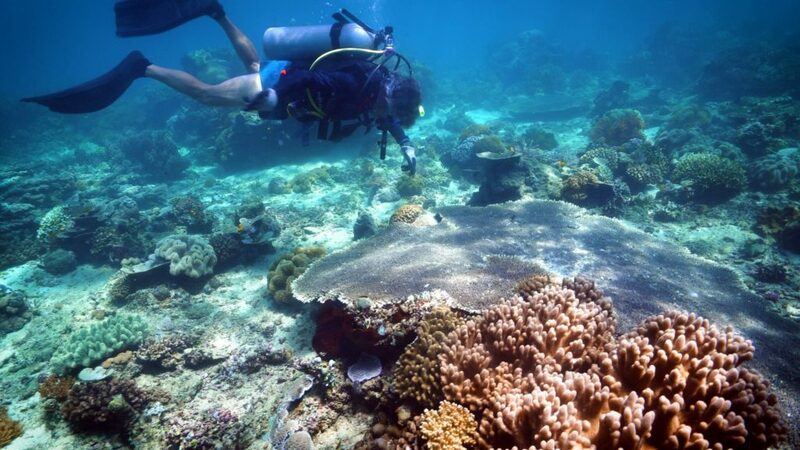 Since GCRA spends almost all our time regenerating the most damaged reefs where only a last few dying corals survive under severe stress, we fully appreciate the need to save the last and finest coral reefs remaining before they too vanish from global warming and pollution. There is an urgent need for new methods to regenerate damaged coastal ecosystems to maintain the shore protection, fisheries, tourism, and biodiversity services they provide. In the face of accelerating global warming, global sea level rise, and pollution the old ways of restoring these ecosystems have proven to be expensive failures, when conventional coral fragment farms are catastrophically wiped out by bleaching, diseases, and hurricanes, and mangroves and seagrasses laboriously transplanted are washed away by increasingly strong storm waves before their roots can grow. As these stresses increase, future long term success in regenerating these crucial ecosystems can only come with regenerative methods that greatly increase the settlement, growth, survival, and resistance to extreme environmental stresses from high temperature, mud, pollution, and waves. 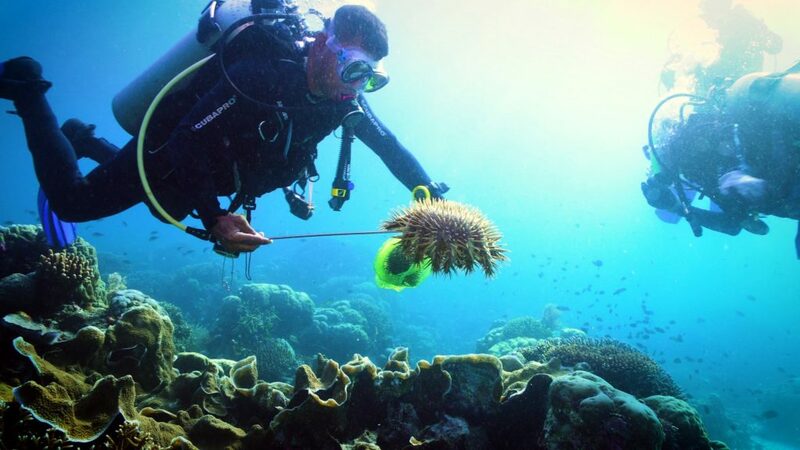 Biorock is the only method that does all these, not just for corals but for all marine animals and plants. Biorock reefs keep entire ecosystems alive during extreme stresses that would kill them, and regenerate entire ecosystems even in severely polluted areas where there has been no natural recovery. 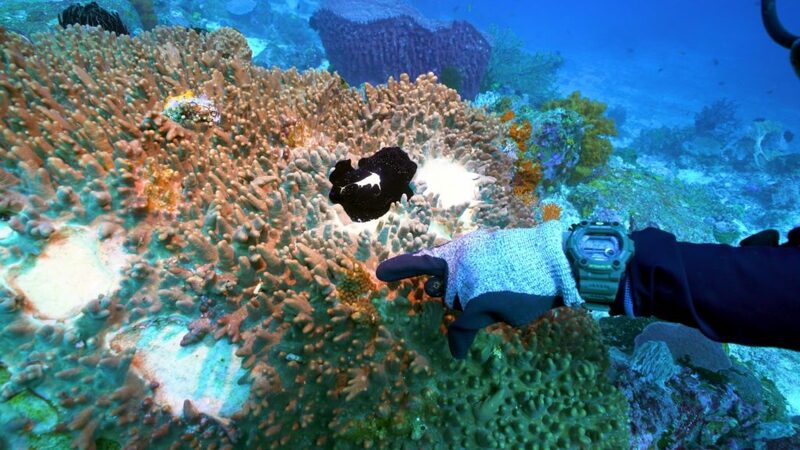 Around 500 Biorock Coral Arks built by Biorock Indonesia teams in Bali, Lombok, Flores, Sulawesi, Java, Sumbawa, and Ambon are growing about half of all the coral species in the world, and dramatically increasing the marine biodiversity around them. GCRA recently filmed prime coral reefs in North Sulawesi with Take Action Films, who are preparing a documentary on long term change in coral reefs. 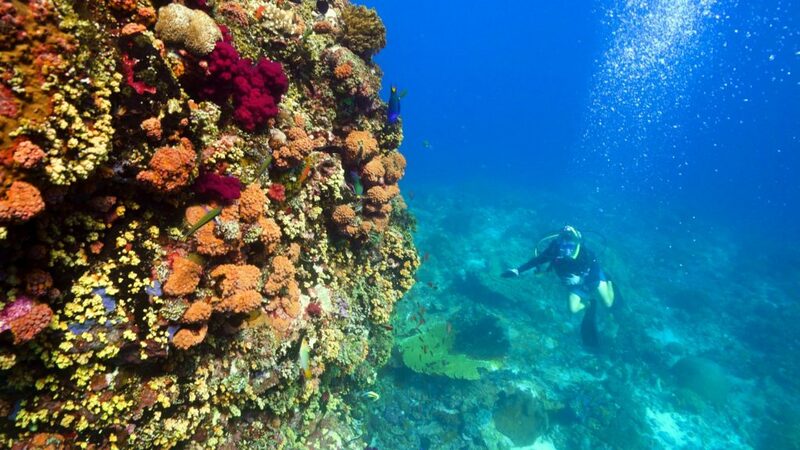 At many of these magnificent sites the shallow reefs are still completely covered with huge table corals, up to 4 to 5 meters across. 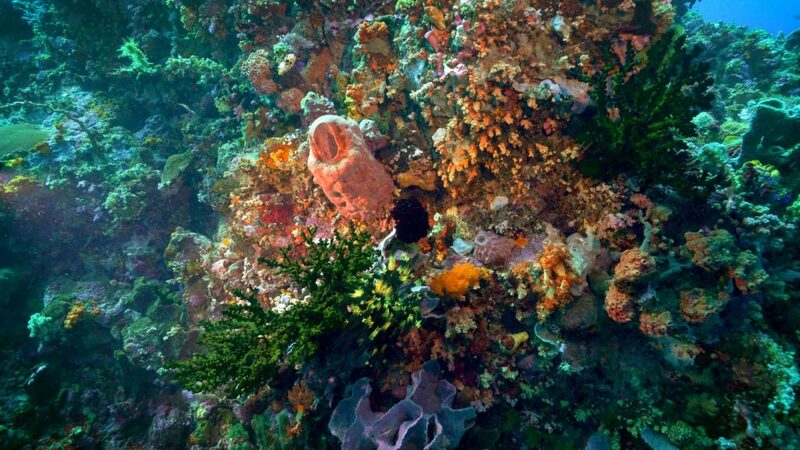 Deeper waters are dominated by soft corals and sponges. But despite their magnificence, these reefs are not invulnerable to global warming, new coral diseases, and land-based pollution. But all is not perfect in this underwater Paradise. 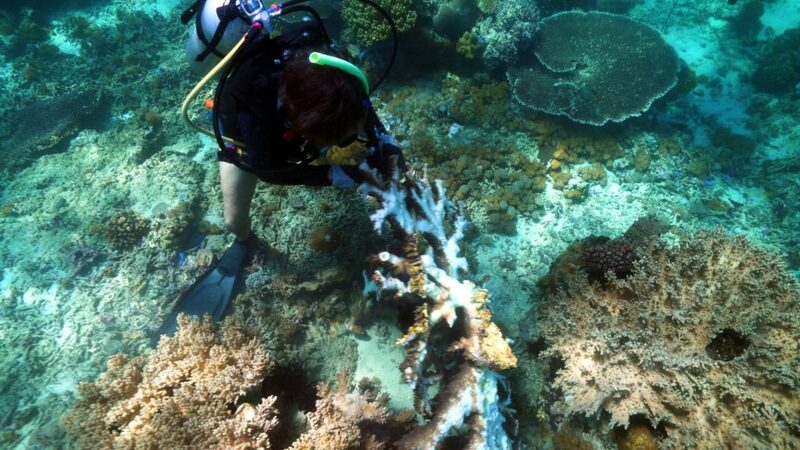 In 2016 and 1998 high temperature bleaching events killed more than 95% of the corals in reefs across southern Indonesia, and such events are getting more frequent and more severe because of global warming. The hardiest coral species of all, and the last to die from severe bleaching stress and pollution, were found in 2018 to be dying from new disease outbreaks in areas down-current from large shrimp and fish farms. The work of GCRA’s James Cervino and colleagues strongly suggests that these poorly studied diseases are caused by shellfish pathogenic bacteria and viruses spreading from shrimp and fish farms. Working in research partnership with Institut Pertanian Bogor, Indonesia’s top agricultural and fisheries research university, Biorock Indonesia and the Global Coral Reef Alliance hope to identify the pathogens causing the new coral disease outbreaks and determine how they are linked to commercial mariculture. Ambon Bay is a model for restoring damaged reefs, mangroves, and seagrasses in severely polluted areas like Jakarta Bay, Surabaya, Makassar, Balikpapan, and all the other coastal cities imperiled by sea level rise all along the shores of South East Asia. 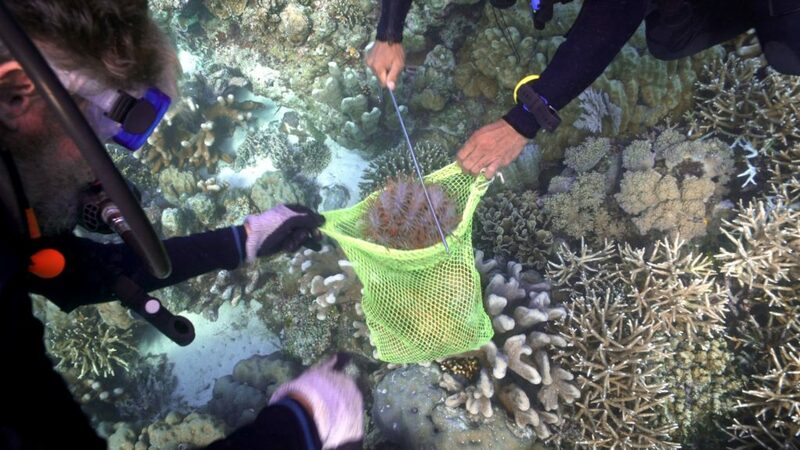 Outbreaks of coral eating snails and starfish are also making severe inroads on prime reefs. In the Red Sea islands off the coast of Ethiopia and Eritrea in the early 1960s the late Professor Tom Goreau first discovered how Acanthaster starfish eat corals by extruding their stomach out through their mouth, covering and digesting coral tissue, and then pulling their stomach back inside their mouth. He had first collected live specimens of Acanthaster starfish at Bikini Atoll in 1947, when they lived in deep caves and only came out at night. It is not known what predator they were hiding from that controlled their populations at that time. In the late 1960s, when huge swarms were first documented in the Western Pacific, he led studies of major outbreaks in Saipan, Guam, and Palau. Swarms of half a million or more starfish migrated around entire islands eating all the corals, until they starved to death because there were no more corals left to eat. The reefs then recovered over a decade or so, but only if they were in prime quality water free from global warming, pollution, disease, and other human impacts, until a new swarm of starfish grows and eats them. Recovery was rapid in the old days, a decade or so, but now recovery is exceptionally rare because of accelerating human-caused environmental deterioration. Also in 2018 an earthquake in Lombok did damage to many Biorock projects in the Gili Islands, mostly to the power supplies destroyed in fallen buildings. The Gili Eco Trust, our local partner, has been busy repairing the damage. Despite all these threats, Indonesia still has the world’s largest and most diverse coral reefs, mangroves, and sea grasses, but in the future they will be even more threatened than before when global warming, global sea level rise, and pollution, and human pressures get worse. Biorock Indonesia, GCRA’s partner, is doing its best to train local groups to set up community-managed Biorock Coral Arks across Indonesia to regenerate entire ecosystems. The Global Coral Reef Alliance’s Thomas Sarkisian recently tested new, much more efficient power systems, needing much less maintenance in Bali, and Biorock Indonesia hopes to upgrade the performance of projects across the archipelago as soon as funds can be raised. At the same time Biorock Indonesia & GCRA are working to develop and expand sustainable community-based mariculture technologies for corals, fishes, lobsters, oysters, giant clams, sea grass, mangroves, and many other species. We thank Take Action film for their support in getting to these sites.